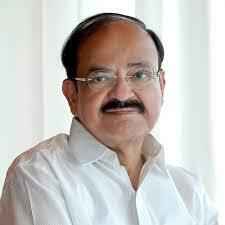 New Delhi-The Vice President of India, M. Venkaiah Naidu will be paying homage to martyrs of Jallianwala Bagh massacre on the centenary of the gruesome incident at the Jallianwala Bagh Memorial, in Amritsar, Punjab on April 13, 2019.During the homage ceremony, Shri Naidu is also scheduled to release a Commemorative Coin and Commemorative Postage Stamp. The event is marked to observe the centenary of the massacre in which hundreds of innocent men, women and children were killed by Brigadier General Reginald Dyer, during a peaceful meeting at the park on April 13, 1919. Shri Naidu is also scheduled to visit an Exhibition on Jalianwala Bagh Massacre organised by the Bureau of Outreach & Communication, Ministry of I & B at the Jallianwala Bagh Memorial. Jallianwala Bagh was declared a national memorial by an Act of Parliament titled Jallianwala Bagh National Memorial Act, 1951. The memorial is managed by the Jallianwala Bagh National Memorial Trust (JBNMT).